The 4x4 Industrial Bypass Optical Switch(Advance) utilizes fiber-to-fiber technology over an angled surface to achieve ultra low losses and crosstalk. It is an external Optical Bypass Box for 10 /1Gbps fiber Gigabit Ethernet networks. The 4x4 Optical Bypass Box protects from network failures and is easy to implement network maintenance by ensuring network integrity. 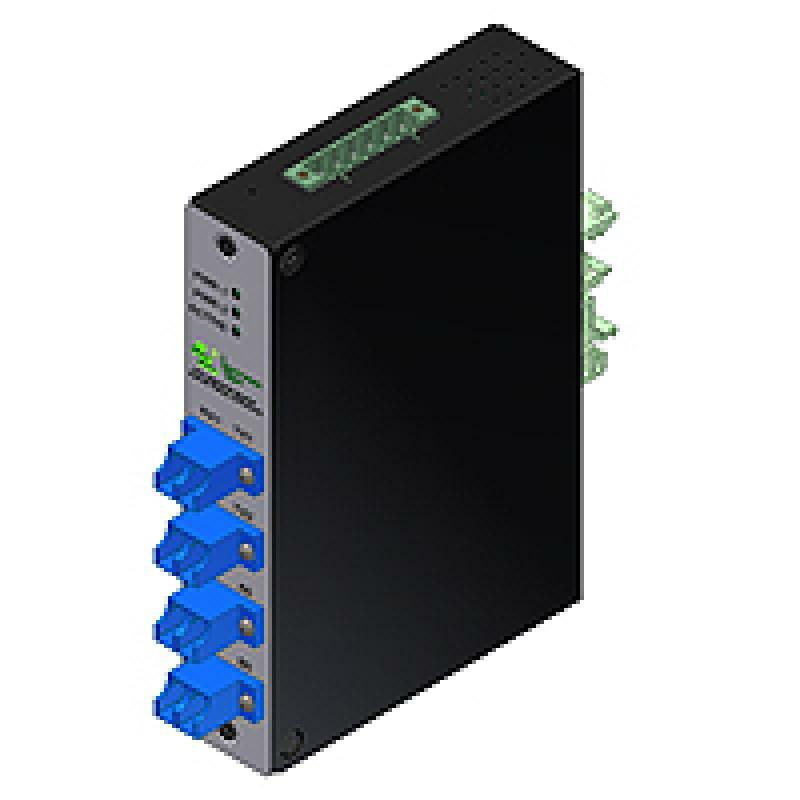 It is suitable for all bi-directional protection switching applications where premise-side connectivity is not required in the bypass state. The optical bypass box provides excellent performance on your network and posseses the adaventages of compact and competitive cost. Lightwave Link 4x4 optical Bypass Box fully complies with RoHS Directive 2002/95/EC (2008/385/EC).